Come celebrate the 1 Year Anniversary of Emily Kyle Nutrition with a Reader Survey & Giveaway of my favorite things, plus a sneak peak of what is coming in 2017! If you’re here today I first have to thank you so much for supporting me and my journey to build my business and help women across the world get healthy & stay happy, without ever having to diet again! December officially marks the 1 year anniversary of Emily Kyle Nutrition, which is so crazy to me! I dabbled in some blogging for a few months in 2015 but I never officially considered myself an entrepreneur and a business owner until I started Emily Kyle Nutrition last year. I am now running my own business and living a life that I have designed, which has really changed the way I view myself and my role in the world today. To be able to live life on my terms has truly changed my perspective on how I think, feel, operate and behave. I feel like have finally earned the right to do what I want to do and be who I want to be, and that is priceless. 2016 has been a truly incredible year for me, as it was my year of YES, inspired by this TED talk by the amazing Shonda Rhimes (seriously, watch it!). I told myself that for 1 year, I would say yes to all of the opportunities that scared me, intimidated me, pushed me out of my comfort zone and ultimately made me feel alive. My year of yes led me to so many incredible opportunities that a small-town girl from Livonia, NY could have only ever dreamed of. I got to travel this year on three amazing trips to New York City, Boston, and Vermont and meet some of the most incredible people I have ever had the chance to connect with. I have gotten the chance to appear in national magazines like Shape, Self and Fitness and have appeared in over 50 live TV appearences for Good Day Rochester. This simple statement has stayed with me and helps me to remember that when one of us succeeds, whether it be a dietitian, a woman, a business woman, or just a human, we all succeed. I will continue to carry this with me as I move into 2017, and I hope you will too. As I continue to grow my influence and my business, my main goal is to support my readers and my audience. In order to be able to do this successfully, I need to know exactly what you need from me to help you reach your goals. This year I decided to round up some of my favorite products I received from my favorite companies to create this cute gift set for you in exchange for your invaluable opinion. Swell Steel Water Bottle from Ocean Spray. AND an extra special gift of canned Sweet Zucchini Relish made with love from my garden produce! With a successful 2016 under my belt, I am ready to make 2017 even better! Here is a sneak peak at what is coming! The School of Health & Happiness is my passion project that I have been working on it for a very long time, and I am almost ready to launch it to the public. This 5-week long program is designed to mimic an online class structure with a new video lesson each day. The goal of the program is to teach you how to get healthy and stay happy, without ever having to diet again. You can learn more about the program and sign up for the waiting list here! This year I am also promising to deliver a new delicious and nutritious recipe every Monday! In addition, you can receive my brand new weekly email newsletter, Wellness Wednesday. Sign up below! 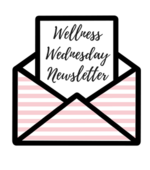 Subscribe to the Wellness Wednesday Newsletter to get holistic health & wellness delivered directly to your inbox! The one other thing I want to really focus on in 2017 is how to incorporate my love of gardening into my business, and most importantly in a way that would be beneficial to you. Are you interested in gardening and if so, what would you want to know? If you didn’t answer this in the reader survey, please let me know in the comments section below! I would so greatly appreciate it! Thank you all for your continued love and support, I wouldn’t be here if it weren’t for each and every one of you! I hope you had an amazing 2016 and are looking forward to an even more wonderful 2017 ahead!